Container Systems, Inc. (CSI), is a leading provider of materials handling equipment and installation services. 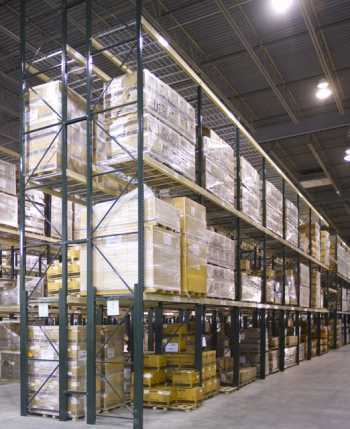 The company offers a range of material handling solutions, from pallet racks and shelving to mezzanines, modular offices, and more, as well as complete installation services for those products. Founded in 1969, Container Systems has always been focused on the customer. The company works hard to provide optimized material handling solutions that fit the specific requirements of each client. Based in Westmont, Illinois, just southwest of Chicago, CSI has served customers in all fifty states, as well as Canada, Mexico, Puerto Rico, and Europe. Container Systems maintains one of the industry’s largest inventories of standard and specialty material handling products. They offer numerous product variations to better serve their customers’ needs. CIS employs a knowledgeable staff to help customers find the right product for their application, and an experienced installation team with thousands of successful projects under their belt. For more information, visit them online at www.containersystems.com. A CSI pallet rack system installed in a client's warehouse.